Flat Glass 2019 Suppliers World Directory. More than 5000 SQM is the space available in IOCCO’s premises to assemble and to test complete lines for automotive and flat glass industries before the final installation at Customers’ plants. Three workshops, all located in central of Italy, enable the company to continue the relationship with its experienced local suppliers and coworkers, strengthening knowledge and guaranteeing the quality over the years. These three separate premises provide the right privacy to each customer; the plants enable to manage several projects commissioned by different customers simultaneously. The company upgrades constantly its skills to face growing market competition and extreme cost pressure, guaranteeing the highest quality standards, with a constant focus on R&D to supply hi-tech equipment and lines to customers which need the latest technology to process the innovative ultrathin or standard glass and to apply ADAS on them. 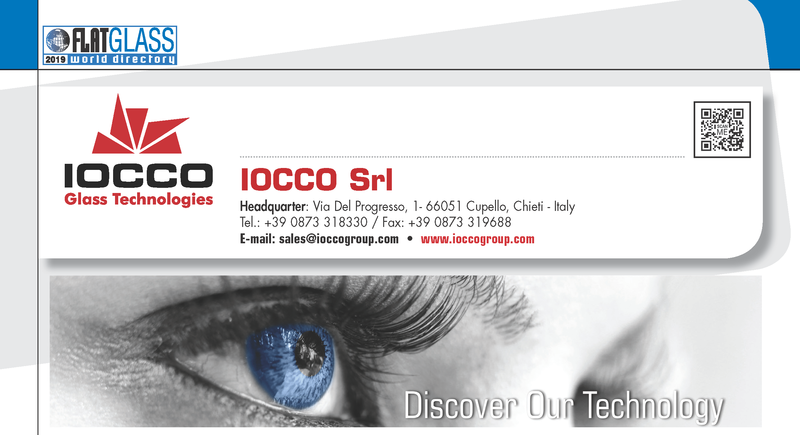 The reverse engineering of IOCCO’s vacuum deairing system (to perform the ‘sandwich’ for laminated ultrathin glass inside the industrial process), has enabled the company to be the unique supplier able to provide the solution to process the new generation of ultrathin automotive glass. Mentioned technology is the new reference for the major players in the glass industry worldwide. The main goal is always to provide captivating new solutions to Customers, relying on the expertise of Engineering and R&D departments to ensure undeniable commitment to quality and safety. IOCCO supplies from the feasibility study of the project through its development, up to the delivery in a turnkey formula, assuring an efficient and responsive after-sales assistance.